From levelling work and cleaning ditches through to creating embankments, Lehnhoff has the right ditch-cleaning bucket for very use in its product range. 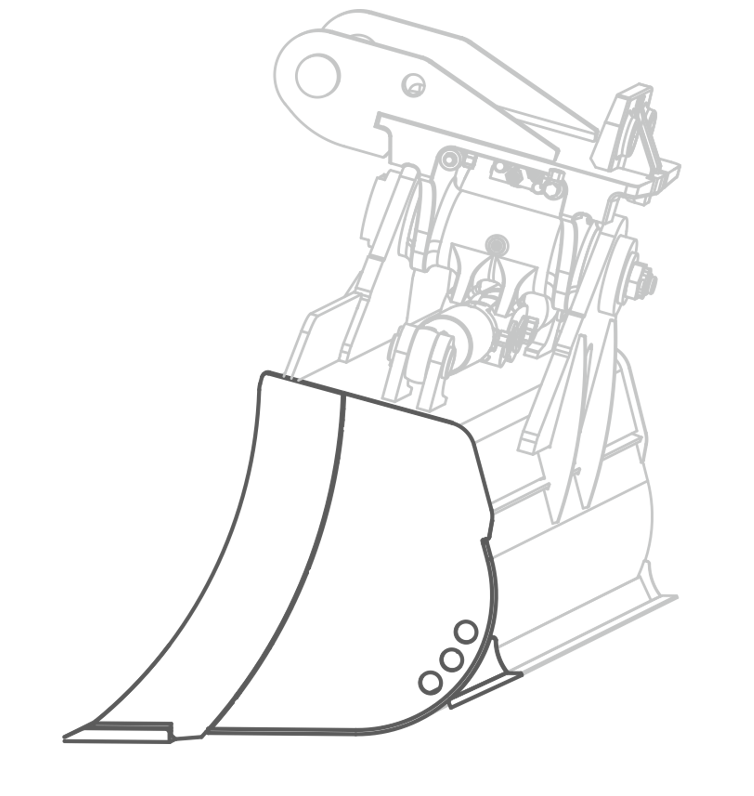 Choose the tilt bucket that is tailored to your needs from two different bucket shapes and swivel drives (hydraulic cylinder or swivel engine). Can also be delivered in fixed HG S design without swivel engine or hydraulic drive. 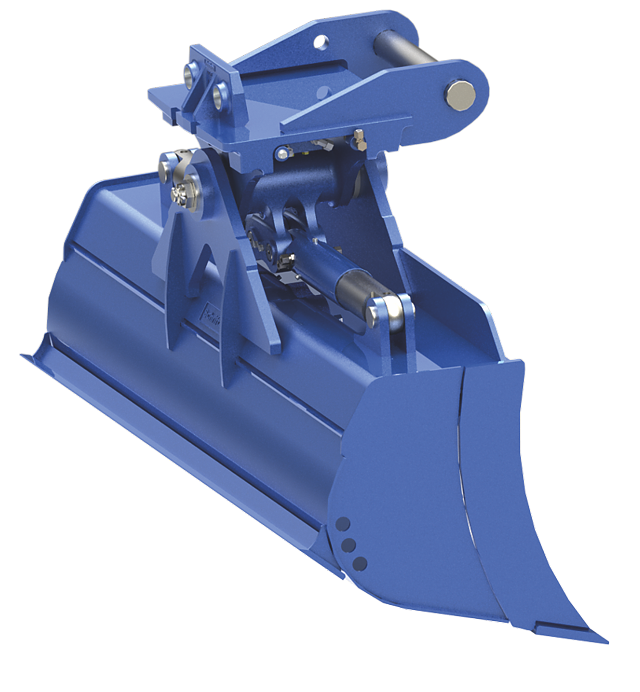 The robust and long-lasting swivel head for Lehnhoff tilt buckets with hydraulic cylinders and piston-rod protection enables a swing angle of 2 x 45°. Extremely robust and low-maintenance drive for Lehnhoff tilt buckets, completely sealed and protected, allows a 2 x 45° swing angle. 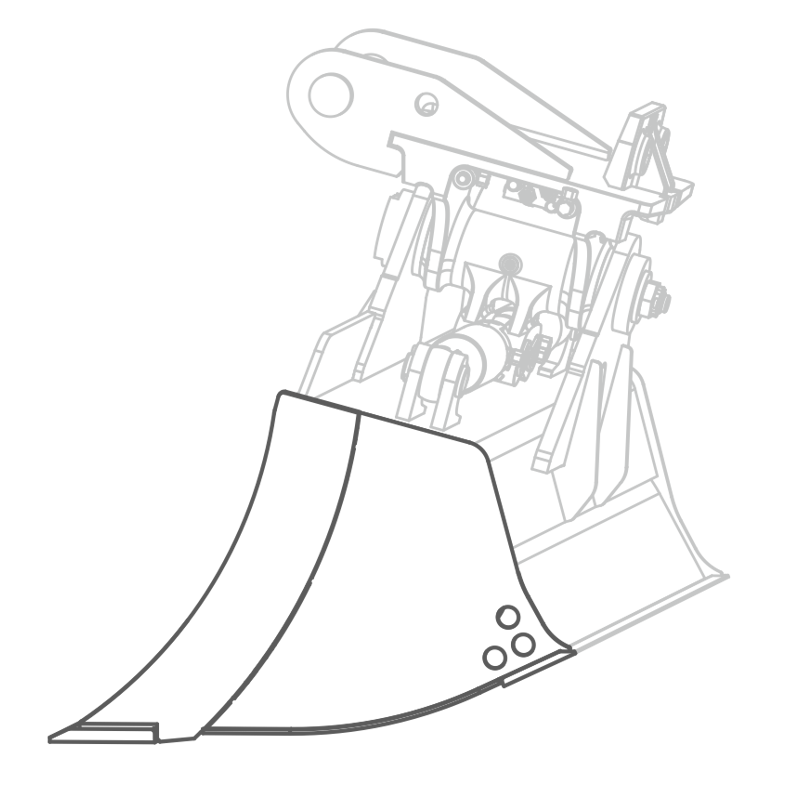 You can also get all ditch-cleaning buckets in a rigid design.